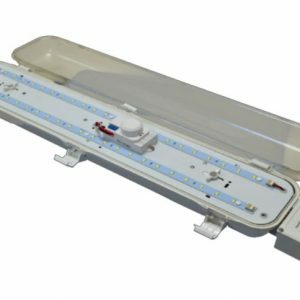 The Guardian VP4-40-BB 4ft Vapour Proof LED Emergency Light is an IP65 weatherproof and anti-corrosive luminaire. Certified to Australian Standards AS2293 in both horizontal and vertical mount modes. The Guardian VP4-40-BB provides significant energy savings for all Emergency applications. Fitted with a dimming sensor the unit operates typically at 12w while in stand by mode, increasing to 40w upon presence detection. Both the case and the diffuser are manufactured in high-quality polycarbonate to provide extra strength and durability. As standard the fitting is supplied with Poly- carbonate Clips but stainless steel is also available as an option. 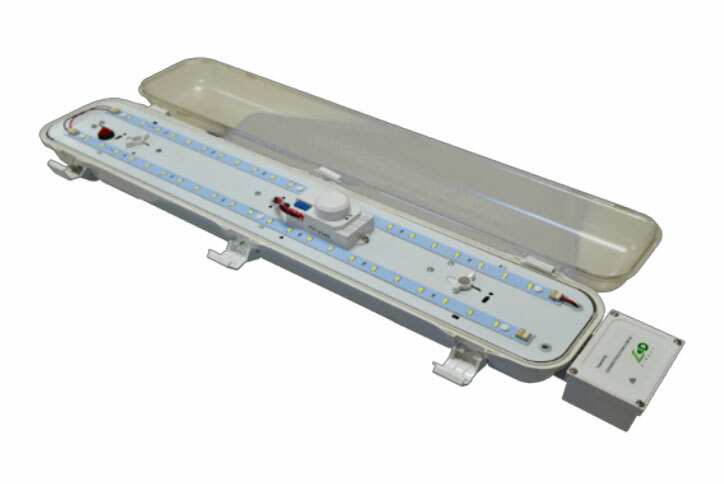 with its wide even spread of light, is suitable for illuminating multi-storey car parks, fire stairs, food processing areas, workshops, tunnels, railway stations, cold stores and many other applications that are subject to moist or dusty environments.